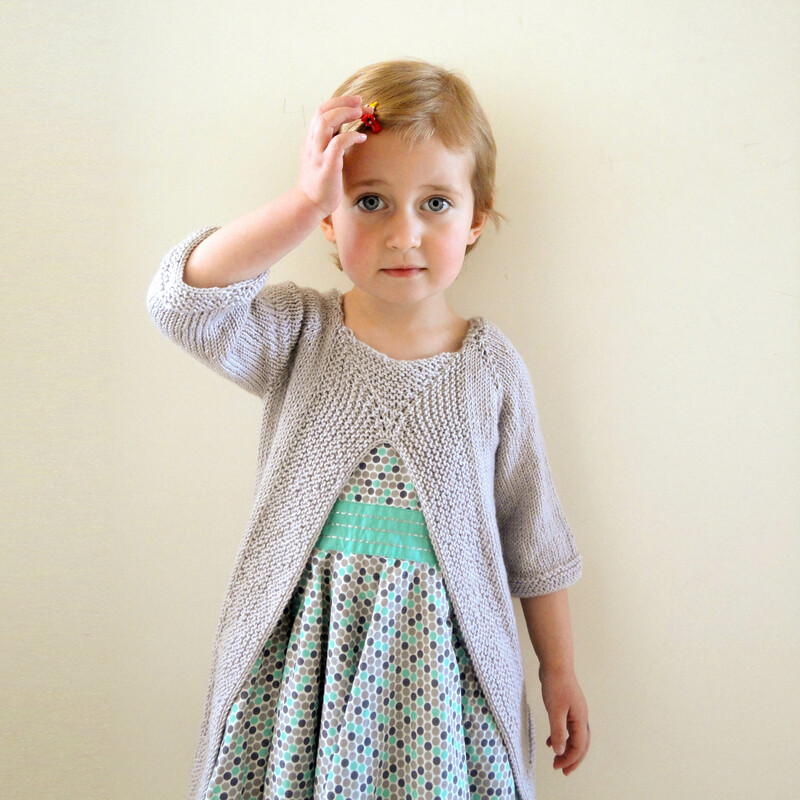 Note that this pattern includes instructions for both the tunic and the pullover! 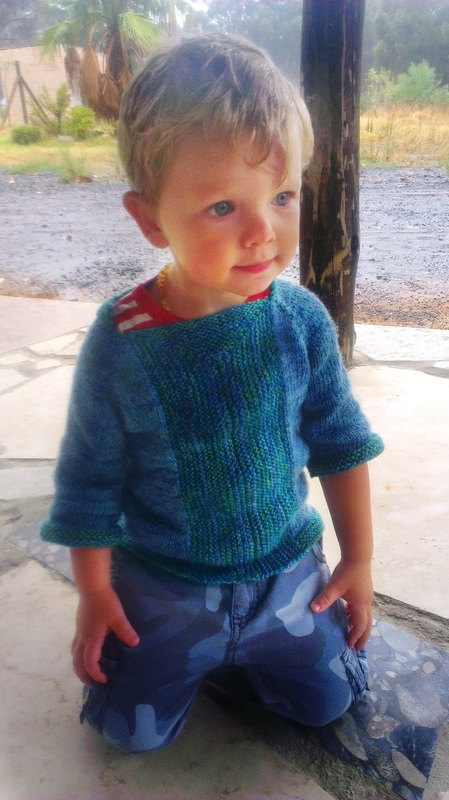 ”Leksak”, meaning ”toy” in Swedish, is an intriguing top-down pullover for both boys and girls! Slightly cropped sleeves that don’t get in the way, and with a different and decorative take on the front panel. Most of the garment is worked flat, but still manages to be completely seamless. A perfect sweater for keeping the little ones warm while playing! 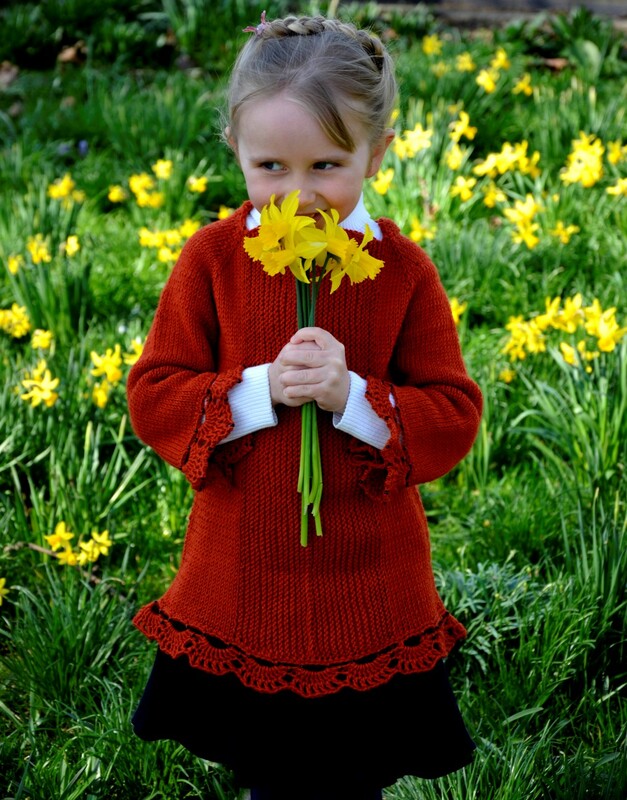 The pattern includes instructions for both the closed pullover and the open front tunic, as well as rough instructions for lacy crochet edgings. Hello Ondre! Since you’re making it without the collar, pick up sts along the whole front edge. Then you will do backward loop CO, folloowed by picking up on thw other side. I hope this helps! Thanks for your help. I get it now. I really want to make the Leksak pattern for my little Granddaughter but am finding it extremely hard to understand the English instructions. Do you have other more clear instructions in English. So much is not said in the pattern like when the marker is place you have to guess that the stitch is the next knit stitch, or is it a slip stitch, etc. I do need help with this complicated pattern eventhough it is a short one. Sandra Sedgwick. I’m currently cleaning up the pattern a bit and will send out an update later today. I’ve not had any feedback before about it being complicated, but I’ll definitely have a look at it! I do not understand where the collar is??? The pattern has already been updated. In the new version I removed the collar instruction, to clean up the pattern. To work a collar, however, you can just add a section of even garter stitch at the very beginning, after casting on. I have made this sweater twice and am working on a third with crochet edging…do I block before or after the crochet?